Come and learn all about puppets! In this three session program the children will learn about different types of puppets. They will also construct a theater and develop a script for a puppet show. They will make several different types of puppets and help construct theaters to put on a show. Session one will be an introduction to puppets. The children will be provided with materials to make a puppet to use in the show. Session two will focus on shadow puppets. 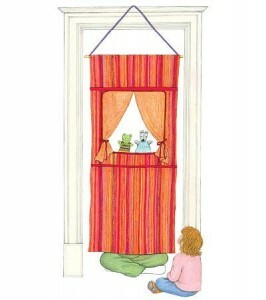 The children will create shadow puppets and begin to develop a shadow puppet show. The third session will include a puppet show created by the children. Families are invited! This prgoram is partially funded with a grant from the Middleboro Cultural council.